Making academic books free online increases reader discovery, but doesn’t translate into additional print sales or citations, a new study reports. Appearing in the October issue of Learned Publishing, “The profits of free books: an experiment to measure the impact of open access publishing,” describes the results of an experiment in making online books freely available in Google Books and an institutional repository. The author is Ronald Snijder of the Amsterdam University Press (AUP). Over a period of nine months, Snijder counted page views (from Google Books), downloads (from the repository), book sales (from AUP) and citations (from Google Scholar). In terms of discovery, Google Book Search was superior to the institutional repository, Snijder writes. What is counter-intuitive about his results, however, was that single-channel distribution methods (either Google Books or the institutional repository) were superior to both methods used simultaneously. Responding to my statistical query by email, Snijder stated that use of the institutional repository was “extremely poor” and that this may have “skewed” his results. His words were apparently penned before the demise of some key academic presses. 9 Thoughts on "When the Love of Books Doesn’t Increase Sales or Citations"
Hi there, link to article doesn’t seem to work (getting 404 at ingenta). Were the books all priced the same? How was the user of the book supposed to alert their librarian to purchase? Has the study actually measured the lack of connection between the institutional purchaser and the actual end user? Sorry about the link, Learned Publishing will be making it available in OA. The books were not priced all the same, but what I tried to do is create 4 sets of books that were as equal as possible. So, expensive books were to be found in all sets, just like the cheaper ones. 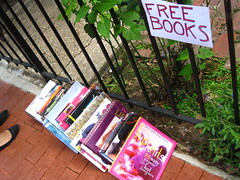 Regarding the connection between buyers and readers: I did hope to find that free books would lead to more ‘spontaneous’ sales. As this did not happen, it does seem logical that academic books – at least as published by AUP – are sold to institutions. And apparently – but I’m speculating here – those organizations are using criteria that are not influenced by accessibility or online usage. I did not attempt to directly influence prospective buyers, I tried to find whether online accessibility is an incentive in itself. I was at the TOC meeting when the study came back on the effect of ‘piracy’ on book sales. Many caveats, but (using O’Reilly books as sample) data indicated that amongst end users, appearance on P2P networks had a neutral to positive effect on book sales. Adjusted the sales curve back a few months in many cases. Also, assumption was that the books would appear almost immediately on the P2P networks (digital copies are easy to replicate). In fact there was a considerable lag time. Data wasn’t conclusive of course. The author of this study wanted more publishers to participate so that a better handle could be obtained on the effects of sharing on sales of front file books. Not sure how successful he was. One of the assumptions of the ANOVA is that your data are normally distributed. Considering that downloads and page-views are highly-skewed, did you attempt to normalize your data before running your analysis? This may explain why you have some counter-intuitive results with very high F-values. I did not normalize the data, as a matter of fact. Thank you for sharing your dataset. I have re-run the analysis on normalized variables and find no evidence that single-channel distribution is superior to multi-channel distribution. Your other findings — that OA does not lead to higher sales and citations — are robust. A brief errata note in Learned Publishing would be appropriate. At Penn State we did not conduct any such controlled analysis as this for the OA monograph series in Romance Studies, but our results certainly support the conclusion that OA availability does not increase sales of monographs of this type. Rather, although results for individual titles varied, the overall trend shows a slight decline from sales levels achieved by the monographs in the previous print-only series. This, of course, could be explained by changes in library acquisition practices, including the move away from “just in case” approval plans toward “just in time” customer-driven models. The phenomenon is probably overdetermined in such a way as to make precise statistical analysis difficult in finding any single causal linkage.